Professional dental coaching offers many benefits. Ask two of the top coaches working within dentistry what are the main topics their clients are most interested in discussing, and it’s telling that both of them offer the same observations. Bernadette Beach of Indigo Medical Consulting has been working as a coach within dentistry for over 25 years. She says it’s when practice owners and managers don’t have a clue as to how to operate their business that this becomes the source of most of their problems. “The number-one reason for failure for business owners is lack of strategy execution, and 60 per cent of businesses fail to make a profit,” Beach says. 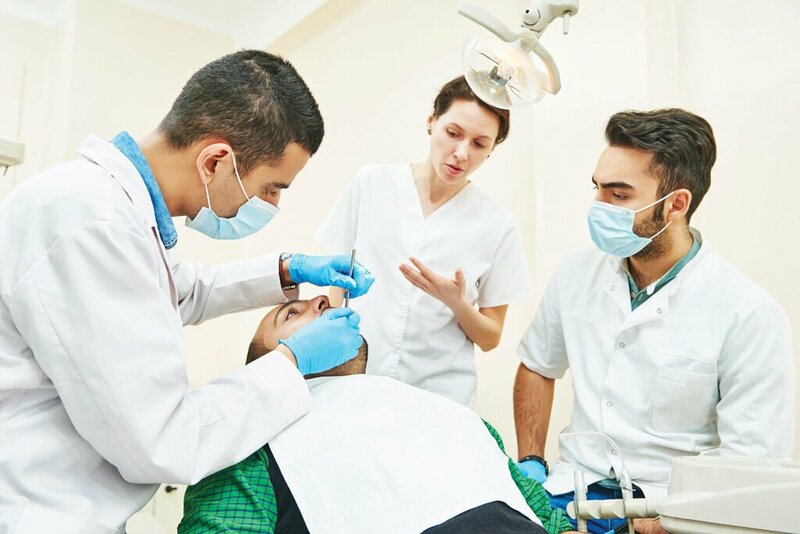 “This is why coaching is important to support dentists in understanding business principles, how to automate functions to become more efficient and the importance of developing business skills,” she says. In this information age we’re living through, there’s a world of options for skills development: university courses, workshops and training programs, not to mention the digital space where accessing pretty much anything about everything is possible. Coaching, however, is a way to apply learning in an informed way, usually driven by questions addressed to the participant, who then explores what they already know and then how this can be further improved on. The key characteristics of coaching are that it is development-focused, facilitates critical thinking and decision-making, and is done on a one-on-one basis. For all the success it can achieve, a coaching relationship can be as confronting as it is effective, explains Gately. “In a coaching relationship, it offers the opportunity to hold up a mirror so you can examine your thinking, emotional intelligence, behaviour and capabilities, and how all of that impacts on the practice. It’s in the area of emotional intelligence—the ability to identify and manage your own emotions and the emotions of others—that coaching can have the most impact in dentistry, says Dr Palmer. “You can coach someone, and their IQ is never going to change, but the EQ [emotional intelligence] rating of a dentist can definitely change with coaching,” he says. For coaching to be truly effective, these master coaches agree it requires two significant factors to be established early on. One is a genuine connection between the coach and the participant, and the other is agreement that homework tasks need to be completed. As for setting the agenda and driving each session, Gately adds that it’s the participant who needs to be in the driver’s seat every time, and never the other way around. “If you want to get the maximum value out of your coaching, turn up with your own plan of what you want to learn, what obstacles you’re facing and then be prepared to explore what you plan to do about it,” she says.